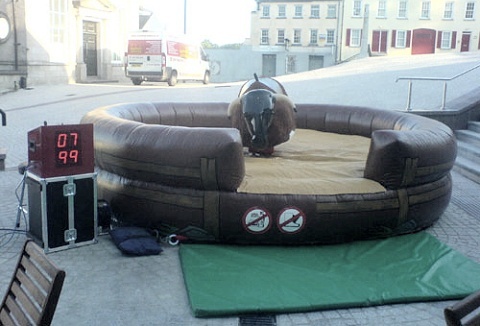 Our Rodeo Bull has flashing eyes to add a raging effect plus a competition timer which times each rider and also displays the best time of the session. Other options: Dolly the sheep, Roulette wheel, surf & Rodeo Reindeer. Requires 16ft in diameter space.